The world cultural and natural heritage includes monuments of past civilisations, great works of art and unique natural landscapes, the destruction of which would constitute an irreplaceable loss for all of humanity. World Heritage Sites are of outstanding universal value and authentic and their integrity is largely preserved. Their protection is therefore not the sole responsibility of a single nation, but a task for the international community. The World Heritage List encompasses over 1,000 natural landscapes and cultural sites in 163 countries worldwide. Germany is represented on the List by 40 World Heritage Sites. 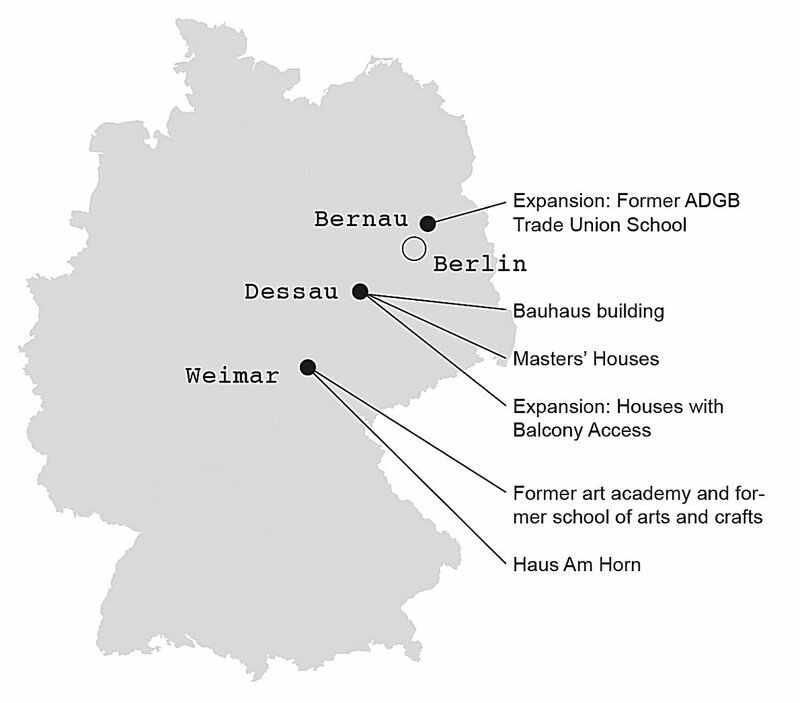 The Bauhaus and its Sites in Weimar and Dessau are included on the List of World Heritage Sites because the Bauhaus as a school revolutionised concepts and practices in architecture and art in the twentieth century and because the outstanding architecture of the Bauhaus building in Dessau, deemed to be a seminal work of European modernism, and the other buildings of the Bauhaus masters uniquely represents classical modernism and has significantly shaped the image of modernism in the twentieth century. In its grounds for inclusion, UNESCO points out that the Bauhaus architecture is a “still uncompleted project for ‘modernity with a human face’”. In its methods and practices of teaching and its conceptual thinking the Bauhaus aimed to give shape to a universal modernism. Following the First World War this involved moulding a new, modern lived-in world in which aspects pertaining to society as a whole played a role alongside those of housing, right up to self-sufficiency and household management. 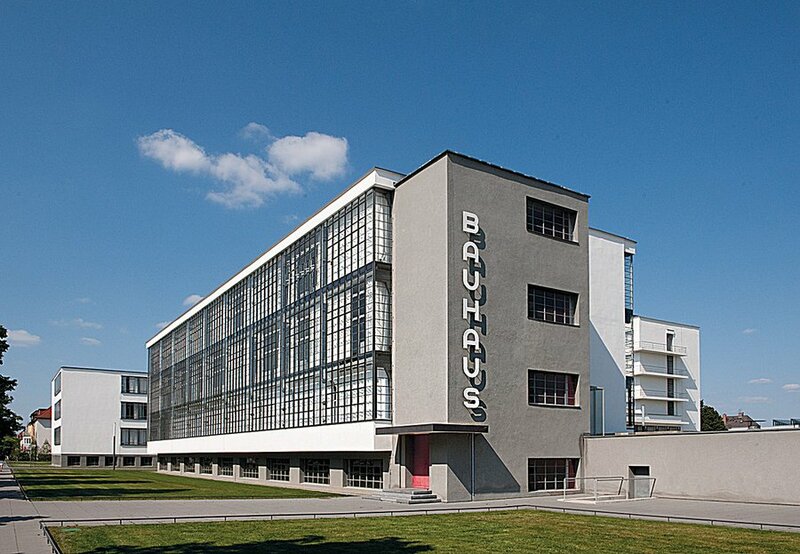 For the World Heritage List, the Bauhaus is therefore not only a singular masterwork in the history of architecture and design, but also a testament to the history of ideas of the twentieth century: “Even though the Bauhaus philosophy of political and social reform turned out to be little more than wishful thinking, its utopia became reality through the form of its architecture. Its direct accessibility still has the power to fascinate and belongs to the people of all nations as their cultural heritage.” (from the nomination dossier for receiving the Bauhaus and its sites in the World Heritage List, 1994). The Bauhaus building is regarded as a key work of European modernism. It combines the principles of functionalism with an outstanding architectonic quality, using then modern materials such as glass and reinforced concrete. Built as a school of design, its structure expresses the curriculum of Bauhaus ideas. Besides this architectonic significance with its radical, new approaches, the location also draws its historically unique relevance from the important contributions made here to the radical renewal of art, design and architecture in the twentieth century. The Bauhaus building currently houses the Bauhaus Dessau Foundation. daily 10 a.m. to 5p.m. 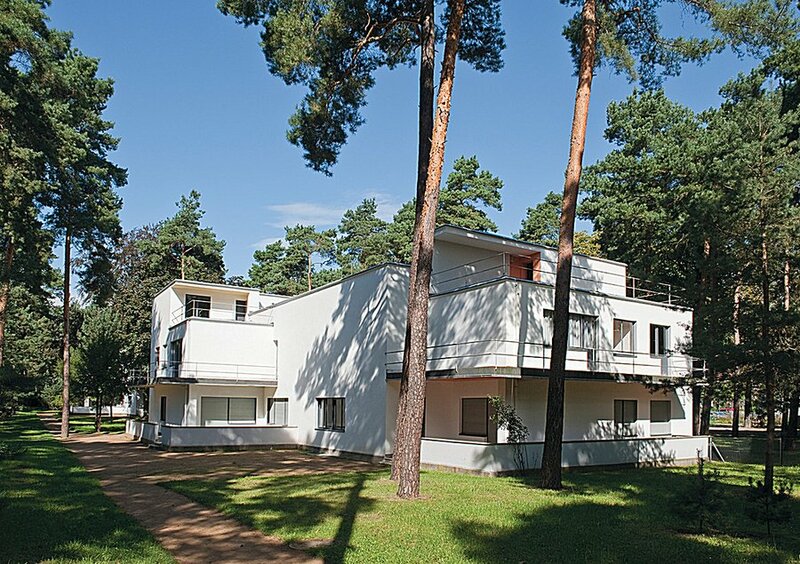 The Masters’ Houses are the Bauhaus’s outstanding architectural achievements. With their white, cubic forms and complex connections between interior and exterior they have had a lasting influence on modern architecture and document the debate about standardisation in housing construction. 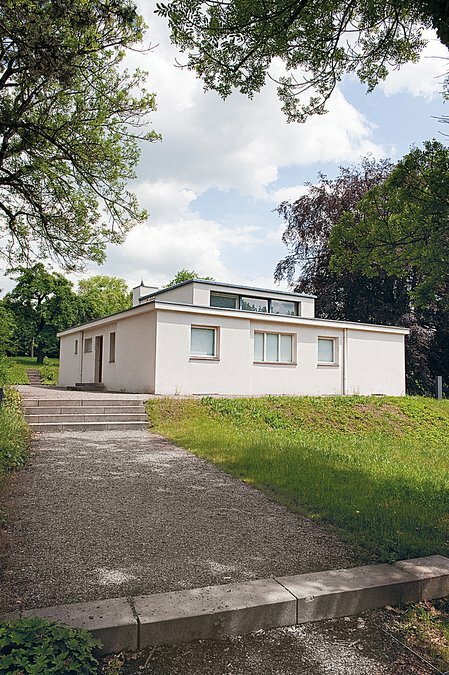 The Masters’ Houses also hold a special significance as homes and studios for eminent Bauhaus artists such as Lyonel Feininger, Paul Klee or Wassily Kandinsky. The houses are currently used by the Bauhaus Dessau Foundation. Walter Gropius founded the Bauhaus in Weimar in 1919 through the merger of the art academy and the school of arts and crafts, based on his main idea of uniting education in art and the arts and crafts. As a consequence, both buildings are still regarded as the heart of the Bauhaus. With his architectural achievements, the architect of both buildings, Henry van der Velde, is also regarded as a pioneer of modernism. The buildings are currently occupied by the Bauhaus-Universität Weimar. The building is open to the public. The Haus Am Horn is the earliest Bauhaus building and therefore serves as a unique example of the work accomplished at the Bauhaus Weimar. It was designed in 1923 for the first International Bauhaus Exhibition as an experimental single-family house and as a prototype for the construction of an entire housing estate. The architecture is characterised by an innovative ground plan and elevation and by the use of state-of-the-art construction technologies. The interior fittings were made in the Bauhaus workshops. The house is currently used for exhibitions. In 2016 an application was made to UNESCO to add to the World Heritage Site Bauhaus the Houses with Balcony Access and the ADGB Trade Union School, built under the stewardship of the second Bauhaus director Hannes Meyer. This application was based on the reasoning that the Bauhaus in its complexity and global presence couldn’t be entirely understood without addressing the work of the Bauhaus director Hannes Meyer. He, appointed head of the Bauhaus building department by Gropius in 1927 and director of the Bauhaus from 1928 to 1930, had a formative influence on the training of architects at the school. In line with the conviction of Walter Gropius, that the building was the true centre and goal of the Bauhaus as a school. The Houses with Balcony Access in the Dessau-Törten Estate and the ADGB Trade Union School in Bernau, Berlin, are singular resolutions of the unity of practice and teaching which the Bauhaus strove to realise. They were built under the stewardship of Hannes Meyer together with the building department of the Bauhaus School of Design and are characterised by an exceptional architectonic quality derived from the scientifically founded design methodology and functional-economical design with social objectives that informed architecture at the Bauhaus under Hannes Meyer. They should therefore be recognised as crucial constituents of the global significance and appeal of the World Heritage Site Bauhaus. UNESCO will reach a decision on the application in 2017. 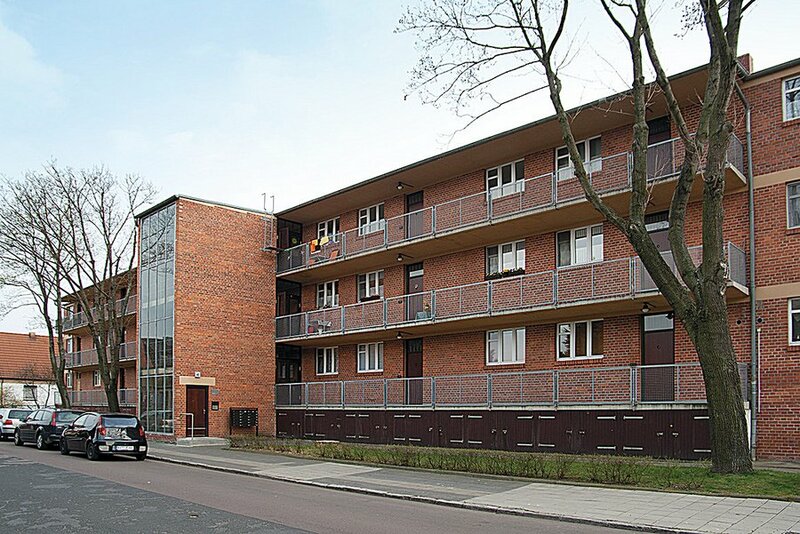 The five Houses with Balcony Access were designed in a collective planning process by the Bauhaus building department set up by Walter Gropius in 1927. Their distinctive design, explicitly based on the functions of living with the reduction of materials and building components to a minimum yielded a singular architectonic quality. The consistently rational layout with shrewdly designed floor plans and furnishings and fittings for the affordable flats combined with communally used areas mean that, with conservative modifications, the social housing blocks also meet contemporary requirements and have been continuously occupied. 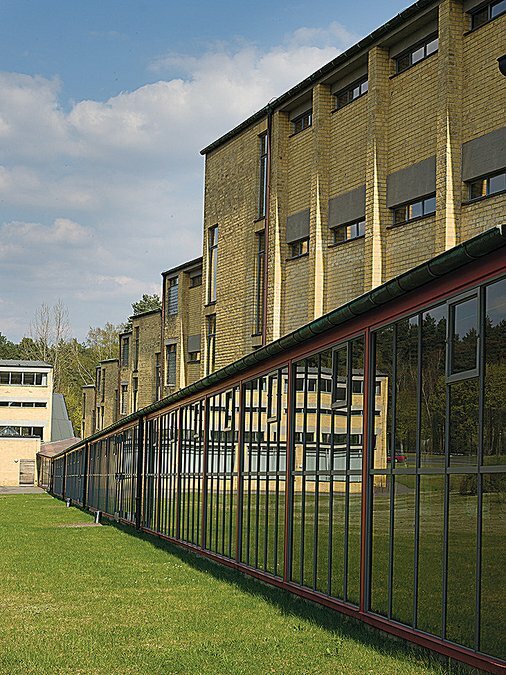 The former school for further training of the Allgemeiner Deutscher Gewerkschaftsbund (ADGB) testifies to the scientifically founded design process at the Bauhaus under Hannes Meyer, characterised also by sociopolitical aspects, and uniquely exemplifies the unity of research, practice and teaching that the Bauhaus sought to articulate. The thoroughly rational architecture boasts a complex connection between building and nature and ensures an unusual architectonic quality. 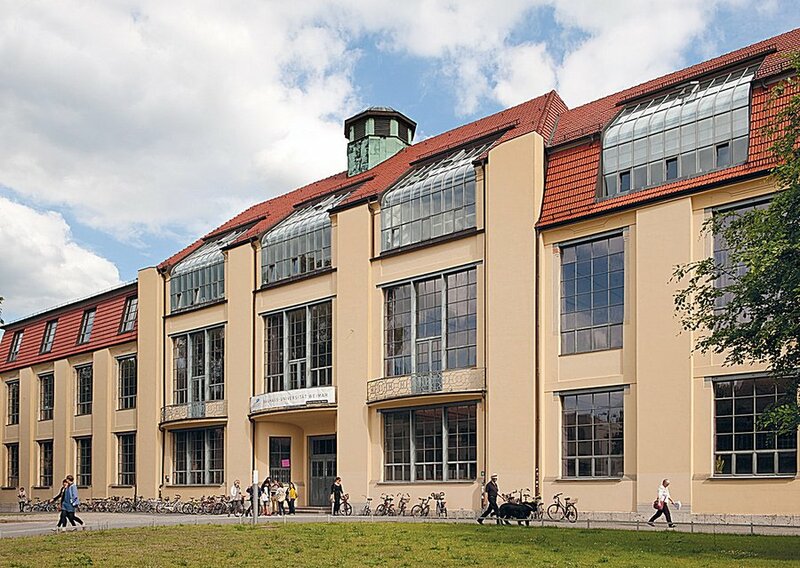 The building is currently used as a boarding school for the training of apprentices by the Chamber of Crafts, Berlin.